In the past year, besides investigating the background of the Russian-Hungarian relations I also became interested in looking behind the rumors that the Hungarian opposition parties were partially or fully under the influence of the governing Fidesz party. Several articles have been published on this in recent years on this topic, however, these were mostly speculative pieces and they rarely contained concrete information. After the opposition’s stunning defeat at the April parliamentary elections we agreed with my colleagues that it would be worth taking a closer look into this topic. As always, I started the work with searching for potential sources. It was relatively easy to find opposition politicians who would be eager to talk about business affairs of their political rivals within their respective parties. However, they asked not to be named and were only able to talk about alleged secret funds, kickbacks, or villas in Western Europe without providing any concrete evidence. When I asked about the details, they generally just spread their arms and said they did not have more concrete information. By the time I talked to almost a dozen of people I still felt I did not more than just simple rumors. But when the name of Gergo Czegledy, a socialist politician, popped up during several discussions, I became attentive. His name was familiar and from what I heard about him, he seemed to be an interesting figure. 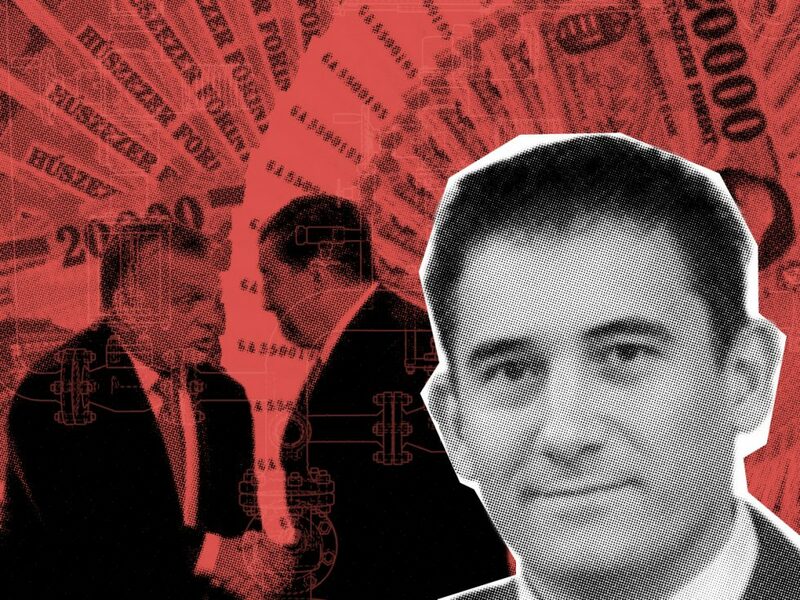 My sources highlighted that his companies were doing quite well at state tenders, and they also drew my attention to his close relation to Zsolt Molnar, arguably the most powerful figure in the Socialist Party. This sounded interesting because Molnar has been known for a long time for having especially warm relations with Fidesz politicians. Laszlo Botka, the former prime ministerial candidate of the party even accused Molnar of treason. In addition, I had covered Molnar’s activities already in the past, and during the 2014 election campaign I found documents which proved that before he started his career in the Socialist Party, he helped Fidesz during the 2002 local governmental elections. After that it was easier for me to focus on what I needed. I tried to map the links between Czegledy and Molnar and their political networks. Surprisingly, even Fidesz sources were quite open in admitting that there were some opposition politicians who benefitted from the current system. They did not describe them as Fidesz agents but emphasized that these opposition figures would like to have a nice quality of life even when they are out of power. Simultaneously, I collected in a database the local governmental and state tenders in which the companies of Czegledy participated, and in which they won. During the rather cumbersome task I took a note of Czegledy’s partners at the state tenders. This included Tamas Varnai, known for his close connections to Fidesz, and Attila Boros, who played an important role in the government’s controversial golden visa program. And in a state-funded investment project Czegledy’s company cooperated with the firm of Lorinc Meszaros, the childhood friend of Orbán and currently the wealthiest person in Hungary. After I processed the data in numbers and prepared the first draft of the article, I contacted the people involved in the story. Molnar was very direct and professional, answered my questions in a businesslike manner. He admitted that he had good relations with Czegledy but claimed he was not aware of his business deals. Czegledy reacted by sending an amazingly long letter. In his outraged response full of expletives, he detailed how difficult it was to win the tenders and how his party association had always been a burden for him. As the letter opened up new questions, I responded, which led to a seemingly never-ending back and forth between us. We went over the documentation of hundreds of procurements, because Czegledy disputed some of the conclusions I drew from them. The days before the article came out were quite busy. I went through the successful tender applications of Czegledy’s companies several times. I also went through some of my previous calculations again based on the information provided by the politician. My colleague Andras Petho was very helpful in this process, he was not only my editor but also helped me interpret the tenders and untangle their complexities. I was so happy when we finally managed to clear all questions and the article was published the next day. After a few days I was able to talk to Czegledy personally. Previously, we only communicated through emails. I was just about to leave home when my phone rang. He spoke at length about how much damage I had caused him and complained that I was hurting the opposition which was already in a bad state. However, he did not deny the statements of my article.